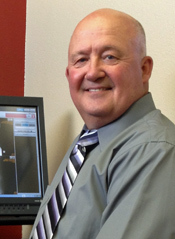 Our chiropractic website is especially designed for health-conscious folks in Williston. Find out why other Williston-area residents are choosing the chiropractor committed to patient education and understanding in Williston. If you have come to Williston without an appointment…don’t worry…. give us a call or stop in and we will always do our best to work you in as soon as we can. Call Wright Chiropractic Office anytime to make an appointment or arrange a consultation to find out if you’re a good candidate for today’s chiropractic care!